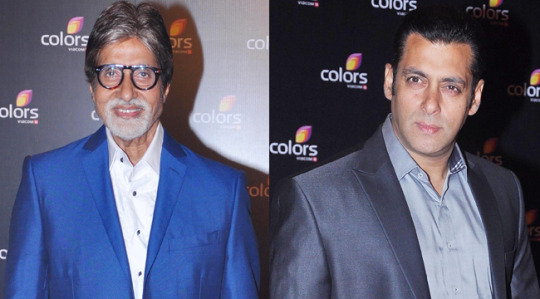 What does Salman want us to ask Amitabh Bachchan? During his interviews, when asked about something, the Dabangg actor asked the journos to ask that question to Big B.
Salman Khan is known for his eccentricities and dry sense of humour and whoever has interacted with him can vouch for that. The actor will be seen playing a double role in Prem Ratan Dhan Payo – one is called Prem and another, Vijay. However, during an interview, when Salman was asked to divulge some details and reveal about his character Vijay, Salman refused to reveal anything. Needless to say the journos had a great laugh! !